Fever Tree?s lone hit single, the haunting 1968 tribal anthem ?San Francisco Girls (Return of the Native),? perfectly captured the spirit of the psychedelic era. Although their signature hit led many to assume that they were a Bay Area band, Fever Tree actually hailed from Houston, Texas. ?San Francisco Girls? 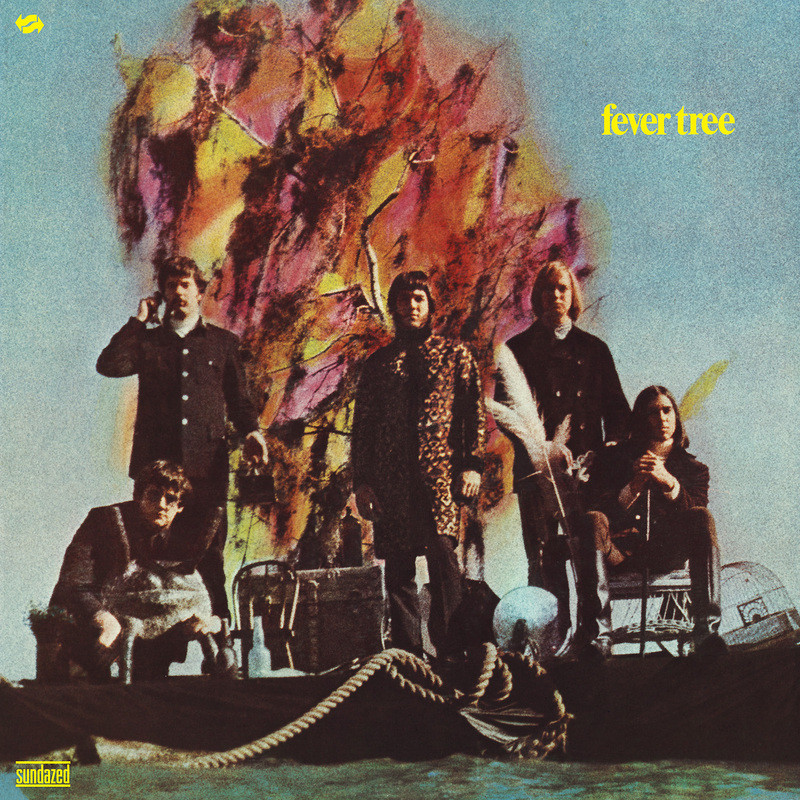 is also the centerpiece of Fever Tree?s self-titled first LP, one of the period?s most distinctive debuts?the quintet was adept at perfectly incorporating psychedelic, jazz and classical influences into their work. Key album tracks such as ?The Sun Also Rises? and ?Come with Me (Rainsong)? showcase Dennis Keller?s hypnotic vocals, Michael Knust?s fuzz-filled guitar work and Rob Landes? inventive keyboard textures. Fever Tree?s expansive musical settings also feature key contributions from a pair of noted arrangers: David Angel, renowned for his work on Love?s Forever Changes and Gene Page, whose resume includes work with Phil Spector and Marvin Gaye. Sundazed?s vinyl edition is sourced from the original stereo masters and includes the complete original cover art. Sundazed is pleased to share the compact disc liner notes for Fever Tree. This information-packed essay can be viewed HERE! ?Most ?lost psych classics' are lost for a reason. This Houston quintet's 1968 debut is an exception, serving up a thrilling blend of Texan gnarl and baroque British ambition as heard in ?Filigree And Shadow? and ?San Francisco Girls.? PA?